Four-track pressure equalized system plovisles excellent rain reSiStanf with a low profile. 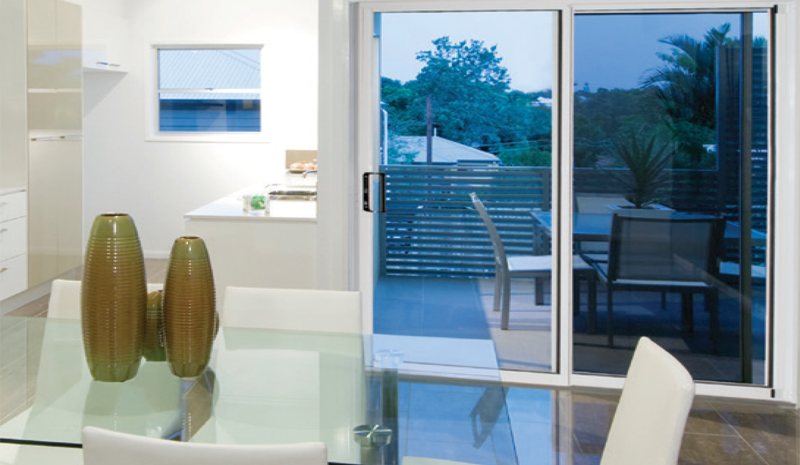 For years, architects and builders have specified aluminum doors for their overall strength and lasting value and due to their rigidity, durability and narrow sightlines. For years. 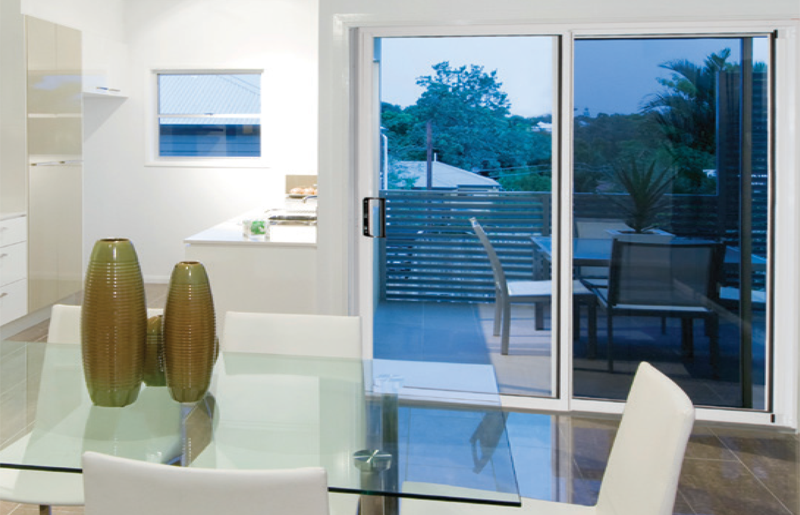 architects and builders have specified aluminum doors for their overall strength and lasting value and due to their rigidity, durability and narrow sightlines. They can be configured into a wide variety of combinations that enhance any living space. Aluminum also popular because of its low maintenance. doesn't rust or degrade and it doesn't need to be painted. Doors are typically supplied with factory applied baked-on PPG °macron paint but °reels° available with optional tough anodized or custom li'VF finishes. In previous generations. aluminum's downside was a lack of energy elf icier, Today. better quality aluminum door designs equipped with thermal breaks separate the interior and exterior surfaces to improve energy efficiency.